New! Pre-Epilation Oil is a perfect compliment for use with all types of hard wax. 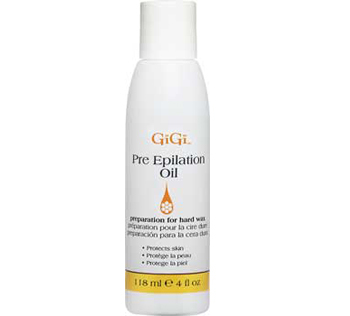 GiGi Pre-Epilation oil creates a barrier between hard wax and the clients skin, hard wax adheres to the hair but not to the skin. The Pre-Epilation oil also contains moisturizers to condition the skin. Try it with the GiGi Brazilian Body Hard Wax!